SMS marketing has become popular with companies and industries as a networking solution when marketing in various ways. SMS marketing can be used in a number of ways, such as to communicate with customers about new products and services, as well as in situations where a customer may need an update about a service that they have requested. One of the key features in a successful business is that of communication between individuals. Every worker within the company needs to be able to communicate with others in their network. These workers also need to know of any updates or important announcements that may be taking place within the company. As well as a good level of communication within the company, there needs to be a close relationship and a strong level of communication with the customer. One of the best ways to do this is via SMS messages to a handheld mobile device. These devices are incredibly popular and almost everyone has one. An SMS message is also excellent as a way of delivering information as it can be customized for an individual, or designed as a message that can be sent out to a wide audience. SMS marketing can now be seen as a way of communication in a wide selection of business sectors and industries. Many companies that require close contact with customers, such as doctors and fire and emergency departments use SMS marketing to effectively contact those that may be ill and awaiting a service from a medical specialist. SMS messages are effective in large environments where a high level of networking is crucial. Big airlines use SMS marketing techniques to inform customers and members of the staff about flight delays and other important information. Many industries that often need workers on a short notice use SMS marketing, such as in social care, where a social worker may be needed if someone falls ill and needs attention, or if one of the social workers drops out and needs replacing. By sending alerts and updates to a customer via SMS messaging, the customer can feel at ease in the knowledge that they are receiving up to date information. SMS marketing may be used to tell a wide selection of customers about a new product that has recently been launched. 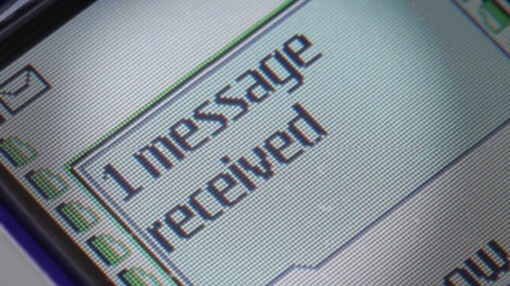 The techniques of SMS marketing may also be used on a personal basis, such as when a customer has requested a service from a company. The company can keep the customer updated about the status and the progress of that service via SMS messages, which the customer will receive straight away.